GJ spent the last few days reworking the sculpture called Little Sister. It’s even more spectacular now, tho I couldn’t have imagined that possible. We’ll make a new movie of it for the You Tube channel soon. 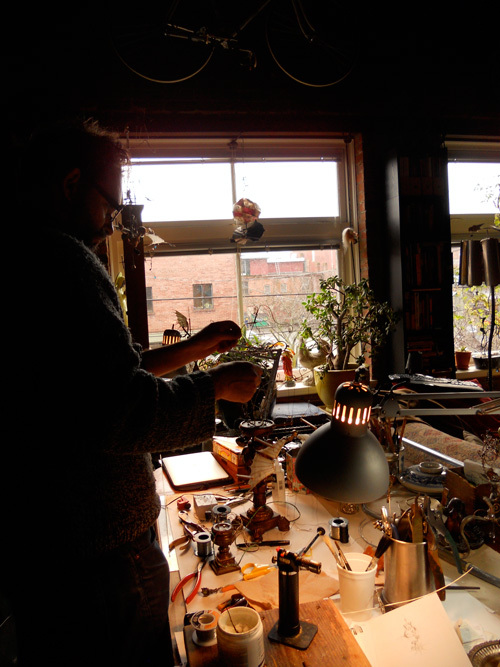 I love this shot of the studio with the gorgeous Marinoni hanging above the window. So interesting – I’d love to be a little fly on the wall and watch the work in progress!